Vitamin and Mineral Supplements are very useful in helping to maintain, or to regain, good health. We are fortunate that we can buy these at most supermarkets and health food stores, and we pray that this situation may long continue. Note: The following ideas are simply suggestions. Check first with your doctor or health practitioner before trying any remedy or suggestion mentioned here. 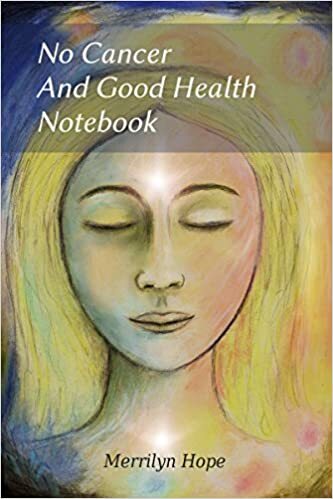 No responsibility will be taken by this author as to whether or not these ideas work, or whether a certain combination has an adverse effect, or you exceed the recommended dose, or whether they make you feel worse in any way. The best vitamins for hair growth are Iodine, and the health king of minerals, zinc. The importance of magnesium and silica should also be considered. Vitamin B is important for good digestion. It is important to have enough of this in the diet for us to be able to deal with stress. If we are deficient in Vitamin B, then stress related conditions like eczema and hypoglycemia can result, with a lowering of normal stress levels. This can, of course, result in the hair falling or thinning. Falling hair is a sure sign that your diet and your life style need adjustment. While you are working on improving the state of these things, it is a good idea to take a Vitamin B complex supplement to give your health a boost so that you may recover both your health and your hair more quickly. Vitamin B is a priority for hair growth. Take the maximum dose on a daily basis to improve the health of your hair. This is needed especially if you are not eating enough fresh fruit, but Vitamin C is good for overall health as it helps in the assimilation of other vitamins and works as an antioxidant. It also helps in maintaining good skin tone. The scalp is skin, and so it benefits by having an adequate supply of Vitamin C in the diet. Vitamin C helps enormously in our ability to cope with stress. Take ester C, or calcium ascorbate at night to help you sleep well. If your health is below par and your hair is showing signs of falling out, then taking 1000 mgs morning and night will help. Start with just 1000 mg in the morning. After a few days, build up the dosage by taking again at night. Cut back to just the evening dose if your bowel motions remain disturbed. Vitamin C also aids digestion. Good digestion means you will absorb more of the nutrients which you are eating in your food, which, in turn, helps to build up good health and strengthen the immune system. Vitamin C works as an antiseptic and a healer. It is also a mild sedative, so this should help you to sleep well if you take a dose at night-time. Loose bowel motions can occur initially, but do not worry. This is just your insides clearing themselves of debris. Drink extra water to help with the cleansing process. This contains high amounts of Vitamins A and D. Both these vitamins, taken in the fish oil, help the growth of nice, healthy, shiny hair. Take the maximum dose each day if you are working on hair which is thinning. I took slightly more than the stated dose when I needed the benefit of Halibut Liver Oil Vitamins, but I cannot recommend this practice to people reading my article. Especially when any of the family had a chest infection, I doubled the dose, but for one or two doses only, as that was all that was needed to beat most infections. After that, I would return to a maintenance dose about twice weekly. Best to take this in the morning, as Halibut Liver Oil might interfere with your sleep if taken too late in the day. The above list of Vitamins for Hair Growth should be helpful to all those who are building their health in order to have better hair. But the supplements Zinc and Magnesium must be mentioned in this article. These two minerals are highly important for recovering your health and your hair. It is best if you take the full set of recommended vitamins, rather than just buying these, but if you are on a budget and can only afford ONE vitamin, then get the combination which has both of these. Zinc helps you cope with stress. A deficiency of zinc and magnesium could result in your having thin hair, or hair which is falling rapidly. Zinc helps in the digestion of carbohydrates, so it is especially important for anyone with allergies, or anyone who suffers from hypoglycaemia.These conditions can cause the hair to fall out. A diet low in sugar is needed. It is best to avoid wheat and dairy products if you think you might be sensitive to these. Upping your zinc intake is sometimes all that is needed to improve digestion of these foods. Zinc is low in New Zealand soils, so most N Zers need an extra boost of zinc with magnesium at least once a week. If your hair is thinning, then you should take a daily amount of the recommended dose. Do not ever take more than the stated dose. Because our food is lacking in these minerals which creates a need for NZers to buy these supplements , it seems a crime that drug companies are driving to get the monopoly on sales. Zinc with Magnesium should be the first mineral supplement to the diet if one has thinning hair. Iodine can be used moderately on the scalp – just one or two dabs on one or two parts of the scalp is all that is needed. Massage into the scalp whilst the hair is still damp after washing and drying. Note: Do check with your doctor or health practitioner before using iodine on the hair. |I have never had any trouble with putting small amounts onto my scalp, a small amount being just a touch on the end of a finger. Two dabs is all that is required. But check with a health practitioner to assess your condition of health before trying any home remedy. Silica is an essential mineral for the health of the hair. You can buy homeopathic silica in what are known as ‘cell salts’. But the easiest way which you can help your hair in its requirements of silica is to eat a bowl of oatmeal porridge every day. OR you can drink oat straw tea, which is especially high in silica. Comfrey tea is also high in silica………. A good natural way to get a high count of minerals and vitamins into the body to benefit the hair is to take comfrey tea on a regular basis. Two leaves simmered in a pint of water will give you a tea which is high in silica. This helps the growth of hair, nails, teeth and bones. It helps heal liver and intestines and skin conditions like ezcema. Take a small cupful morning and night. Keep the remainder in the fridge for up to two days, then make a fresh lot if you haven’t finished the first brew. Comfrey Hair Rinse: The same brew can be used, once it has cooled, to put through the hair after washing. If you are making a special brew for use on the hair, then you could make the mixture slightly stronger by adding a 3rd leaf to the pot. The silica in the sliminess of the leaf really makes the hair shine beautifully. It also helps heal the scalp to prevent dandruff. Comfrey supplements in tablet form, if you can get them, and shampoos and soaps with added comfrey, are a good idea. But nothing beats the effects of the fresh herb, brewed up for 5 or 10 minutes, taken as a tea and/or applied as a hair rinse. Apple Cider Vinegar: This is great for promoting hair growth. If you apply it after using soap or shampoo, then the alkaline effect from these products is negated. Apple cider vinegar is rich in potassium and other minerals and vitamins which nourish the scalp. It is best not to use iodine on the scalp right away if you have rubbed apple cider vinegar into it. The two do not combine well. Wait for the following day after the application of cider vinegar to apply any iodine to the scalp. It is best not to take apple cider vinegar internally on a regular basis if you have falling or thinning hair. This is because candida albicans is a problem with many people, and this condition can contribute to hair loss. Putting the apple cider vinegar onto the hair when it is still wet will feed the hair follicles directly. This shouldn’t cause problems with candida unless you are in the early stages of recovery. Use about a dessertspoonful of apple cider vinegar for one treatment. Don’t wash it off. If you found this article informative you may also be interested merrilyn’s update: Best Vitamins For Hair Growth. The posts entitled Regrow Hair; and Iodine scalp/Hair Remedy have more ideas for improving hair growth. The Healing Benefits of Castor Oil are numerous. One of the most common uses for castor oil is as a hair generator. If castor oil is massaged into the scalp once a week, left on for several hours if possible, or overnight with a wrap over the head, then massaged out with a good organic soap or shampoo, the hair will shine. It might also begin to grow back again in places where it is thinning out. Dr Max Gerson famously used castor oil in his natural cancer treatments for cancer and other diseases. He used two tablespoons of castor oil in one dose, taken every alternate day. With this treatment, he also used enemas, to clear the bowels quickly of toxic matter which had been released from the liver with the castor oil. Castor oil has the capacity to draw out poisons from the liver and other organs, and is a valuable healing medicine because of this quality. Castor oil can reduce skin lesions such as warts if applied regularly. It can also help athlete’s foot if castor oil is rubbed into the affected area. Castor oil can help prevent athlete’s foot if it is used occasionally between the toes. It works well as an anti-fungal agent. In the absence of proper machine oil, castor oil can be used to prevent metal from rusting, and also to prevent wear and tear. Bicycle chains, for instance, work very well with a coating of castor oil. 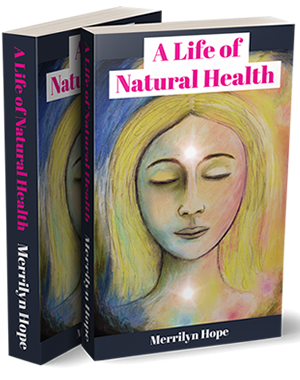 Merrilyn’s book is out on Amazon. This has more detailed information on the use of Castor oil for helping to prevent and treat cancer. The silica in Comfrey can promote hair growth, and aid bone and teeth development. Mineral-rich Comfrey has also been used in some natural treatments for cancer and other diseases. Using Comfrey in salves can aid the healing of many skin troubles, such as cuts, scrapes, and bruises. It may even be just the thing for uncomplicated cases of eczema due to allergic reaction to household cleaners and detergents. Comfrey is not only good for the skin: It can help to heal bone fractures as well, hence its well-known names, Knitbone, or Stitchwort. Comfrey has been used to help knit bones together since ancient times. Comfrey salves or compounds might also be found useful in cases of arthritis, when the joints have become inflamed and sore. This first home made remedy uses Comfrey, Plantain, Calendula, Rosemary and Lavender as its base herbs. If you can find some Yarrow flowers to dry, then you could use those as well. All these herbs have antiseptic qualities, and when they are used together, they become very effective indeed. The second recipe uses just three herbs and no beeswax. You need to find some of the old traditional type of Comfrey if you want your ointment to have the maximum healing benefits. Traditional Comfrey, Symphytum officinale, contains allantoin, which is a cell-proliferant. Modern types of Comfrey have been bred to eliminate allantoin, and some are self-sterile. These hybridized plants do not have such good healing effects as the old-fashioned Symphytum officinale, with its allantoin and high potassium phosphorous content. Make sure all your herbs are dried before using. If they are used fresh, your resulting ointment will not keep so well. 1 tablespoonful of dried calendula or marigold flowers. 1 tablespoonful of dried self-heal flowers and leaf. This is optional, but worth putting in if you have it. Leave out if you cannot find any to use. This is a wee purple flower which grows in lawns and around the garden. Self-heal is also known as prunella vulgaris. 2 tablespoonfuls of dried plaintain leaf. Use the smaller leafed variety of plaintain which grows in lawns, known as ribbed plaintain. 3/4 cup of beeswax, to add at the very end of the process, after the herbs have been infused in the oil. Method: Put all your herbs into a screwtop jar, big enough to hold the oil. Use a little more oil if necessary, enough to cover the herbs completely. Infuse in a warm sunny spot for 21 days, shaking a little every day. After 21 days is up, drain off the oil. Put your infused oil into the top of a double boiler. Alternatively, you could use a bowl sitting over a slightly smaller size saucepan, with boiling water in the lower saucepan. Heat up the oil in the double boiler for 10 minutes. Now add the beeswax to the hot oil. Stir until the beeswax has thoroughly dissolved. Take off the bowl which now has the melted beeswax in it. Whip all together thoroughly, stirring as the mixture cools. Pour into sterile jars. Wait until the salve mixture has cooled down completely, then screw on the lids. Mix 1/2 a cup of olive oil with an equal amount of raw honey. Into this mix three tablespoons of powdered comfrey herb, two tablespoons of powdered calendula flowers and one tablespoonful of either dried self-heal or plaintain leaf. You could use both these if you have them. Put into an airtight jar and use as needed for sore joints, and skin abrasions. How Poisonous Is Comfrey And How Can I Use It? Have you ever heard of anybody who has been poisoned, either from eating Comfrey, or from drinking Comfrey tea? I haven’t at least not with the common garden variety known as Symphytum officinalis. It is possible that some Comfreys should be avoided. Dr Vogel mentions in his book ‘The Nature Doctor’ that there are 20 varieties of Comfrey, and that the wild Comfrey which grows across Europe should be taken only in small amounts because of its action on the central nervous system. In my experience, the traditional, untampered with, heritage comfrey plant which we grew in the Hokianga was edible and an incredible healer of wounds, skin troubles, bronchitis and many other complaints. But recently (October 2017) I ate some comfrey from a plant which was shop-bought. This was definitely not intended to be consumed. It caused a mild stomach ache for several days. Modern genetically modified comfrey has also been bred so that it lacks the wonderful healing properties of original comfrey, namely, allantoin, which is a cell-proliferant, and silica, a natural healer of cells and a promoter of healthy bones, teeth, hair, skin and nails. Nature provides us with a cocktail of wonderful compounds in traditional Comfrey which work together in a synergistic way to heal all manner of diseases, so long as the herb is used sensibly and with respect. To my knowledge, no case has EVER been reported to our national poisons centre. Because no-one has ever ‘mis-used’ Comfrey to a disastrous effect. I believe the hype about Comfrey is really to stop us from using this herb as an alternative to pharmaceutical preparations. Some of Comfrey’s healing components have been isolated by pharmaceutical companies, who are profitting from Comfrey’s healing agents, whilst discouraging the use of natural Comfrey herb. Interesting to note that a ‘Soil and Health’ article from around 2000-2006 stated that the newer varieties of Comfrey lack that invaluable ingredient, allantoin, which is a cell-proliferant. They are also apparently much lower in silica than traditional types of Comfrey. This is probably the reason why traditional Comfrey was banned in NZ and Australia for a time – it is high in silica and allantoin, which both can help prevent and heal degenerative diseases such as cancer, and also bowel problems such as colitis and irritable bowel syndrome. My belief is that ‘research’ determined that a new type of Comfrey be developed which was not going to compete with modern day pharmaceutical drugs in any way. Modern hybridized Comfrey is virtually useless as a healing commodity in my opinion. I would put traditional Comfrey at the top of the list of healing herbs. An invaluable healing herb, Comfrey has been used for centuries, if not thousands of years, as a healing agent, both for external and internal uses. It is high in silica, mucilage, potassium, phosphorous, nitrogen, and other nutrients, including germanium, cobalt, and allantoin which is a cell-proliferant. This last, as well as the rich silica levels, give it the capacity to repair damaged cells very quickly. Comfrey tea used externally as a hair rinse, and as a tea taken internally, say one cup a day, will help hair growth. Traditional Comfrey was known as ‘Knitbone’, or ‘Stitchwort’, whose names attest to its ability in healing broken bones. It is also renowned for its healing effect on wounds, burns and cancer. The germanium and cobalt in Comfrey are thought to be of especial help in treating cancer. The mucilage in Comfrey, plus its other healing agents, can help in cases of bowel diseases such as stomach ulcers, irritable bowel syndrome and ulcerative colitis. Dr Vogel is another herbalist who recommends Comfrey for treating inflammations of the stomach and intestinal walls. He uses a mucilaginous tincture, made from Comfrey, which he calls ‘Symphosan’. He has also used this remedy successfully for treating inflammation of the nerves. Yet, for all the history on the herb and the wonderful successes people have had with it, sometime around the 1990’s Comfrey was declared to be a toxic weed which needed eradicating from our gardens. It was banned in New Zealand and Australia around then, and the only people allowed to grow it were the registered herbalists. I remember the wee article in the paper, which said that Comfrey had caused cancer in pigs. On the strength of this example, Comfrey was then banned for household use. What did they do to get this result – of using Comfrey to cause cancer in pigs? Feed pigs a steady diet of Comfrey, and nothing else, until they had developed cancer? If you were to feed pigs a steady diet of either potatoes or carrots, to the exclusion of all other food, I think you would find a terrible thing happening to your pigs. They would get very sick. Potatoes have a naturally occuring poison in them called Solanum, which intensifies once the potatoes start to go green. Potatoes which have begun to go green are potentially very harmful to the liver. But have potatoes ever been banned because people might ‘mis-use’ them? No. If potatoes are eaten before their skin goes green, and you sensibly combine them with other foods in your meal, then you will not get sick from eating them. People have poisoned themselves from eating only carrots, so I have read. The carotene content in carrots is a healthful thing for the eyes, and the general health, but in overdoses, it can be extremely damaging to the liver and the kidneys. If you eat carrots for a long time, to the exclusion of all other foods, then you will undoubtedly become ill with some disease. It is true that some of the constituents of Comfrey could have the potential for trouble, if you were to eat too much of it. So – how many people, I wonder, would ever want to eat copious amounts of Comfrey? People generally use it as a tea, rather than as a vegetable, although I sometimes used a leaf or two in with the silver beet when my children were young. This never made us sick. When copious amounts of the raw herb is fed to animals over a period of time, no doubt the allantoin present in Comfrey could produce some ill effects, such as cancer. But we do not ever use Comfrey to the excusion of other herbs or foods, just as we do not eat only potatoes, or carrots, for months on end. So this risk of cancer from Comfrey is almost non-existent in human experience. In recent years, Comfrey has reappeared in our plant shops. But these are hybridized plants, devoid of the wonderful healing agent allantoin which is found in old-fashioned Comfrey. The hybridized versions are also likely to contain lesser amounts of silica, and not so nutrient-rich as the traditional sort. So for best healing results, stick to the traditional type of Comfrey, Comfrey officinalis. Author MerrilynPosted on June 15, 2015 November 11, 2017 Categories HealthTags comfrey, hair growth, herbal remedies3 Comments on How Poisonous Is Comfrey And How Can I Use It?